Creative Billing Can Improve Your Cash Flow! Creativity, when used in the accounting world, is usually considered a “no-no”. However, I am not talking about misrepresenting the state of affairs. In fact, I am talking about the exact opposite - providing the client exactly what you told them to expect at the beginning of the proposal process. Let’s take a look at how setting client expectations early can improve your firm’s cash flow. I am not saying that project management and marketing get to dictate accounting functions, but I am saying that it is imperative that accounting work with project managers and marketers to ensure the signed agreements match the accounting schedule and billing possibilities. To do that, accounting needs to understand the needs of the client and the project managers, as well as the functions and limitations of the software they use for accounting and billing. From there, you can create a project set up process that easily allows the project managers to see where they are in the project in relation to the budget and plan. This ensures the invoices match what the client was told to expect. 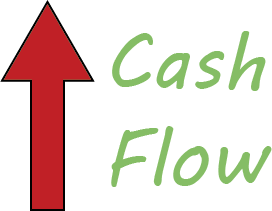 As a result, clients are more likely to pay on time and you can count on the cash flow coming in from your clients. In many cases, clients have specific reporting and timing requirements – some are reasonable and some are not. Involving accounting at the front end of the project to have discussions with the clients about what is possible and not possible will go a long way to ensure a smoother billing/collection process down the road. However, accounting can’t become obstinate with the “we don’t do things that way approach.” There has to be a willingness to work with the others to solve the issues between the client desires and the current accounting process. Having he accounting staff work directly with the client to resolve the issues will ensure both understand where the other is coming from. Understanding what the client needs and understanding what is possible in the billing system allows accounting to bridge the gap. Of course, having a system that offers many options to bill the client helps too. At a minimum, your system should allow you to create billing cycles that allow for most client timelines. The better systems will allow for billing to be prepared with multiple options for the way the labor and expense are handled. Additionally, they have ways for managing fees and additional items such as credits. The best systems allow for changes in the invoice format so the final product has the required information in more or less where it is needed. Again, flexibility, creativity and patience are often needed. Remember that a good collection process begins by communicating with the client - take the time to understand their needs and explain what is possible. Create a billing process that is flexible enough to support client expectations and is efficient enough to be managed internally. Doing so will go a long way in avoiding issues down the road.